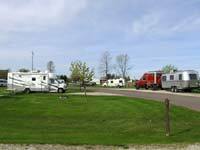 US Highway 51 ends its northern journey through Wisconsin when it intersects with US Highway 2 outside of Hurley, WI. At this point the color tour traveler looking for scenic fall color drives has a choice. 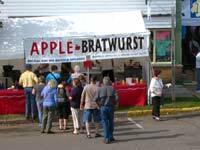 Do I go east into Michigan's Upper Peninsula or do I head west towards the Bayfield Peninsula? By the way, another favorite fall attraction is bird migration. Hawk's Ridge in Duluth is a popular spot for viewing raptor migration. 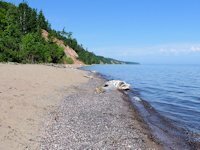 Another popular spot for viewing the fall migration is Whitefish Point in the upper peninsula. 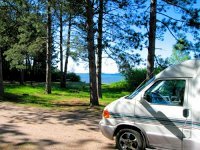 We had expected great color along the Black River Scenic Byway that runs down to Black River Harbor and Campground. It lies in a part of the Ottawa National Forest rich in old growth mixed northern hardwoods - hemlock, birch, and maple. Our surprise was finding the colorful Black River waterfalls roaring in spectacular fashion. 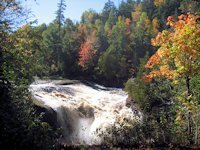 This discovery prompted us to add Potato River Falls (near Gurney, Wisconsin) to our itinerary - and we were richly rewarded in finding it displaying both color and dancing water. A couple we met at Black River Harbor told us the waterfalls in their glory happens fairly often in the fall in this part of the UP. Apparently as the cold, below freezing evening temps kill off the marsh grass and vegetation, it is like removing a dam, thus releasing more water into the river systems. Add some fall rains (and snow) like we had in the fall of 2005 and you have waterfall conditions that rival springtime. In another fall color trip traveling on US Highway 2 from Ashland Wisconsin, we found the same thing at Scenic Amnicon Falls State Park about 15 miles east of Superior, WI. Double bonus. Fall color time and the river and falls were roaring. In a later fall color scenic tour of the UP in the we were able to catch some nice fall color at the Porcupine Mountains. 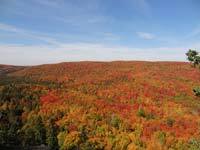 The views from the Lake of the Clouds Overlook and Summit Peak are kodak moments during the summer and when they are splashed with fall color they are outstanding. On one fall color trip we toured scenic areas of the central and eastern Upper Peninsula, from Munising to Sault Saint Marie hoping to catch some nice fall color change. In some areas the color change was modest, but in other areas we caught some nice color. Tahquamenon Falls in blazing color near Paradise, Michigan was terrific. Lots of water going over the falls from recent rains and some nice fall foliage change. Near ideal fall weather. 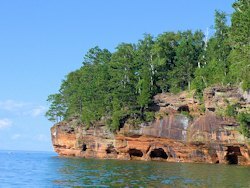 During another fall color trip we covered Fall Color along the Minnesota North Shore Scenic Drive running along Lake Superior from Duluth, Minnesota to Thunder Bay, Ontario. 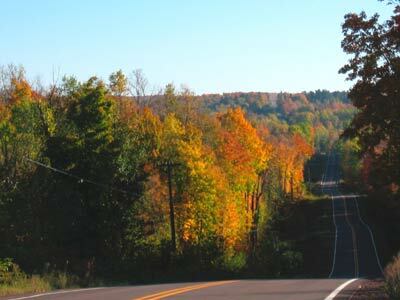 In later years we were back in the Michigan Upper Peninsula catching Fall Colors in the Porcupine Mountains. In future years we'd like to sample the color elsewhere around the lake. One attraction I've been wanting to catch is taking the Agawa Canyon train ride during Peak Color season. 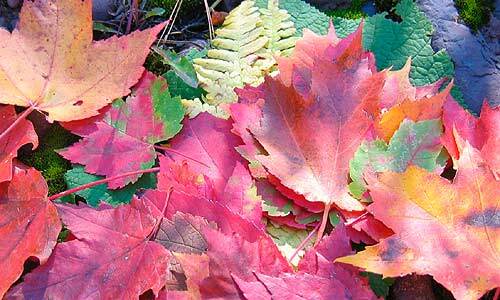 Based on the forest ecology, I'd expect to see some nice color from Sault Ste. Marie and up to Wawa Ontario.